Angela Merritt did not anticipate a career in hardware, but 19 years ago, she took on the role of manager of her parents’ new business. 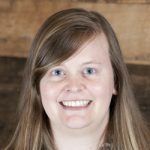 Since then, she has helped the operation grow to three locations in rural Wisconsin, where she is leading and teaching the next generation of farm owners. Angela Merritt (AM): The hardware stores are an offshoot of Ederer Dairy Supply. My parents, Don and Jan Ederer, started the dairy business in 1973. When I was young, the business was actually in our house. We were all accustomed to having customers come to the house to get dairy parts. When I was in college, they bought an old lumberyard to operate the dairy in. From a young age, I answered the phone and recorded radio ads for the dairy. My parents joined HWI in 1997 when I was in college. (HWI became Do it Best in 1998 when it merged with regional co-op Our Own Hardware.) At the dairy, they install and service all the dairy equipment, and it made sense at the time to pair up with HWI. Initially, they didn’t think they would have a hardware store. Then in 1999, they bought land in Plain, Wisconsin, and built a 15,000-square-foot hardware store. Then in 2000, my parents bought out another dairy equipment dealer in Blanchardville. The town didn’t have a local hardware store, so we set up a space for the dairy equipment business and also added hardware to the mix. In 2012, we opened another store in Dodgeville. Initially, that location was going to be strictly dairy supplies, when the existing local hardware store closed, we expanded into hardware there, too. In college, I studied retail merchandising and management, and I always thought I would work with soft goods, like clothing. But one year out of college, I became the manager of Ederer’s Do it Best in Plain. It wasn’t my first direction, but 19 years later, it’s definitely where I belong. HR: How do the businesses complement each other? AM: We supply the dairy with all kinds of equipment, like plumbing, electrical, fasteners and tools. The dairy staff buys things from my store, and we special order items for them. The same is true on my side. Some of our customers drive an hour to get dairy parts and supplies they can’t find other places. They also utilize our hardware store. In southern Wisconsin, Ederer Dairy Supply is one of the bigger dairy suppliers. There are a few smaller dairy suppliers, but we bought up a lot of the competition. AM: I worked in management for Lands’ End in Minneapolis right after college. It was a great company to work for, and I still use many of the retail tools I learned there. But, being from a big family, I felt like I was missing out on too many big events back home. About the time I was relocating to southern Wisconsin, my parents had started on the construction process on the Plain store, and they needed a manager for the hardware division. Initially, the excitement of filling and designing a new store was pretty great, but then reality set in, and I had to hire people, fire people, maintain prices, manage inventory, plan marketing. It was overwhelming at first, and I was young. I had to prove to a lot of customers that I could help them and that they didn’t need the “guys in the back.” I soon found out I really enjoyed helping people with their home improvement problems. It’s very rewarding. Now, I manage three hardware stores. We’re in the process of splitting the dairy and the hardware businesses. By the end of this year, I’ll be my own LLC and I’ll own the stores. HR: What unique challenges do you think independent retailers face in today’s market? In your area? AM: Staffing is one of the toughest areas. Attracting and keeping good employees is challenging. I have been very fortunate and have amazing staff at each of my three stores, but I think it will be more challenging in the years to come. For us, word of mouth is the best place to get anyone. I even post openings on my personal Facebook page because I can get more quality candidates through recommendations. Obviously, in a small community everybody tends to know everybody else. You can get a pretty accurate reference just going to the local fish fry. I really want my employees to enjoy coming to work. I often shop in stores and find myself face to face with an individual who just isn’t comfortable working retail. I can train my staff to understand and sell the hardware we stock, but I have to hire the right personality. Young people today prefer to communicate with written words, through text messages and on Snapchat. Verbal communication skills are harder to come by, and I think that’s something that is very useful in a retail environment. 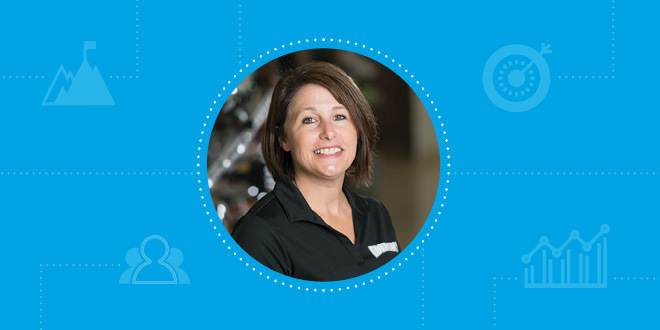 Angela Merritt joined the family business to manage Ederer’s Do it Best, which her parents opened as a supplement to their dairy supplies business. She is now the general manager of three locations. AM: Our area is mostly farmland, and we’re now serving the next generation, the children who have taken over. They need a lot more direction than the previous generation when it comes to fixing things, and serving them is different from serving their parents or grandparents. They come in with their phones and show us pictures of what they want to do. They need our help picking out the items they need. This generation does considerably more research about the project, including brands and pictures of products and final projects. Many new homeowners are very “green” when it comes to home maintenance. They are willing to learn, and our relationship with our customers allows us to spend time with them and walk them through the project. We know 90 percent of our customers by their first names. Personal relationships matter, and our customers need to trust us. In order to get to that point, we’re constantly engaging and asking questions. My staff asks customers how the painting project turned out or if the new puppy likes the dog food we sold them. That all builds rapport with customers. It’s a gift when they come through your door. Use their time well when they’re in the store. 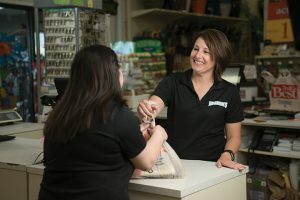 I think the shop small movement the last few years has also been a great opportunity to really define our stores as local “mom and pops.” An increasing number of customers are choosing to spend locally as they see the overall benefit to the community. It’s our job to drive that message year round, not just the Saturday after Thanksgiving. AM: I think you will see more small-town stores close or shift into general store models that sell everything from beer to nails. As retailers, we need to sell what our customers want to buy, not what we think we should sell, and that is constantly changing. I am grateful that my co-op lets me be my own store, really a true independent. I can stock the things my community members are looking for. Busy families value quick shopping, simple parking, helpful staff, getting in and out (at times with three little kids) really quickly. We have a play area in the Plain store where little shoppers can hang out while their parents shop. The kids enjoy it and it makes their parents’ shopping experience better. I think there will be a real focus on “simple” shopping because time is so valuable. HR: How do discover what your customers want to see in your store? Do you use a loyalty program? AM: Marketing to our current customers is probably one of the most difficult parts of my job. I work hard to decide where to spend my dollars to target the people who are frequenting our store. We do regular circulars, put out spring and fall catalogs with a shopping spree, and utilize local newspapers. Local customers also hear me on the radio quite often. I have been voicing my own commercials since we opened, and I still do. We use Facebook, but we haven’t paid for advertising yet. We have a loyalty program through our co-op, but because it’s fairly new, we haven’t gathered a lot of customer data. We are getting a really high return rate on our monthly rewards, and I think that will grow as we move through spring and summer. 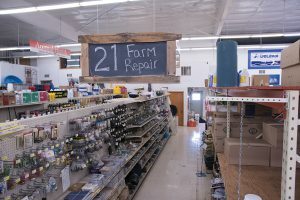 One of the appeals Ederer’s Do it Best offers its customers in rural Wisconsin is the staff’s knowledge of farm life and the wide variety of unique products. AM: Our model is very agriculture-focused. Many of our local farmers are facing a very difficult decision, either to get much bigger or get out of farming. For those who decide to sell, there has been a shift to hobby farms. I think that trend will continue as people see value in getting back to their roots or try to grow roots they never had. There is a desire to raise your kids simply with apple trees in the yard, chickens out back and a huge garden. I think Ederer’s can play an important role in bringing that vintage, nostalgic vision to our communities for many years to come. I look forward to helping my customers raise animals on the same property I helped their parents raise animals on. AM: I really enjoy spending time with my hardware peers, but I don’t do it very often. I wear a lot of hats at work, and it’s difficult for me to get out of the store. I read often, and I try to keep up with new products and retail trends via newsletters, magazines and online. This magazine, Hardware Retailing, is a great resource. I also find interesting reads through the merchandising information that they send out. I have the opportunity to meet people and network at Do it Best markets and seminars. Like my customers, my time is very valuable, and most weeks I don’t have nearly enough of it. I am involved in my local chamber and business groups, and I enjoy talking shop with my fellow local business owners. It may already exist, but I would to utilize an online forum that discusses our industry weekly. What’s working, what’s not, what vendors are shipping product late or not at all. The technology is there to do it, so it’s just about making it happen.